The Finnish Broadcasting Company Yle launched the One Million Bird Boxes campaign at the beginning of March 2016. The idea is to attach one million new bird boxes to Finnish trees by the end of May 2017. The campaign has got an excellent start. 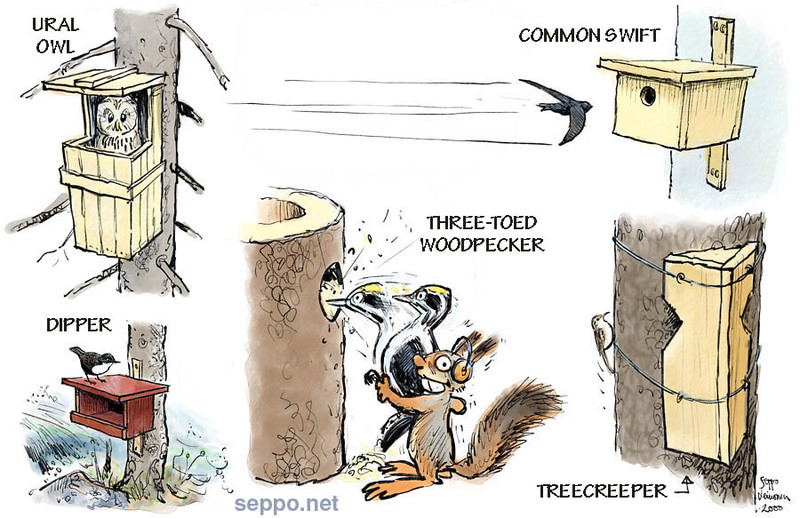 After three weeks over 300 000 nest boxes have already been registered! Extensive forestry has dramatically changed forests and habitats. 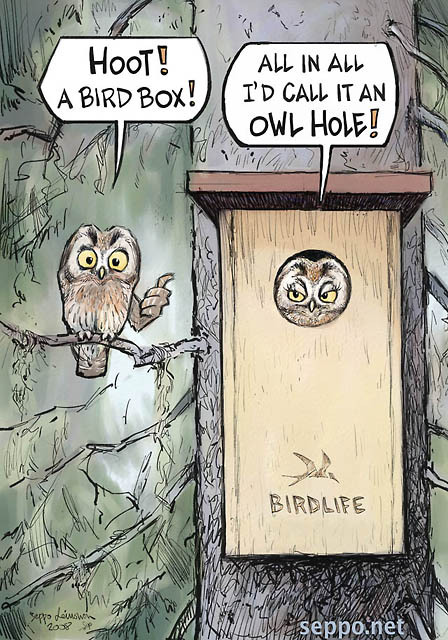 There are few old, hollow or rotten trees with woodpecker nest holes, so it’s hard for the birds that nest in tree cavities to find a nesting place. Nest boxes are a great way to help these birds and other hollow dwelling animals. Many birds and animals need old-growth natural forests to find food and shelter, so protected areas are also very important.